It’s no secret my boys are feral okay cross that out and replace it with spirited, as it’s probably more acceptable! Anyway being very energetic I like finding out about new attractions they can let off steam. We were all delighted to head to Conkers in the heart of the National Forest for an exclusive bloggers event to learn more about the activities they host and try a few out for ourselves. Our day kicked off with a hunt for our den building equipment. It was a small taste of orienteering and we relished the challenge. Although we were the last group back to the meet up point so obviously we need more practise! I think its because hubbie got a little carried away and went off investigating into the overgrowth of trees and bushes rather than focusing his attention on the exact location on the map! So at this point everyone had a head start on the den building. We quickly leant up some branches and made our make shift “home” adding the tarpaulin along the back to shelter us from the incoming rain. Then we moved on to our next task building a fire (in the rain!). We were given a flint and some cotton wool to get us started so with the promise of smores on the cards hubbie soon set to work, whilst the boys busied themselves with finding sticks. It’s such a rewarding feeling when your fire actually gets going! The Park Rangers are really lovely. They are extremely knowledgeable and very encouraging if you’re struggling with any aspect of the challenges. It’s refreshing having the opportunity to try things that might normally be outside your comfort zone. The event in its entirety proved to be a very educational. The boys learnt lots about surviving in the wild. For example even if wood looks damp on the outside if you hear the satisfying snap when you break it then its dry on the inside and perfect for your fire! Keeping the fire burning is a real labour of love. There is quite a knack to getting it started and it then gives you a real purpose collecting plenty of sticks to keep it going. The bush craft survival skills session is one of the 10 tailored activities for visitors to the park. Costing £120 a family of four can pick out three activities (AND have lunch and refreshments thrown in), which proves excellent value for money in my opinion. How easy is it just to walk around an attraction but in Conkers your immersing yourself into real experiences. Eat your heart out Bear Grylls! The adventure activities are very diverse and really help you work together as a family unit! Memories are made that will last a lifetime and if you did happen to get lost in the woods (heaven forbid!) you might have some idea how to start a fire and fend for yourself!!! If you’re not ready for a full on family adventure day you can just come along and explore the other attractions for £32.95 (for 2 adults and 2 children or 1 adult and 3 children). That in itself is still plenty of fun. 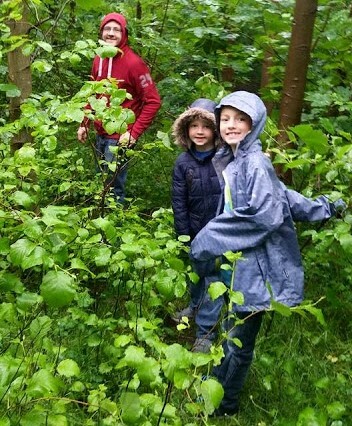 There is so much to see and do at Conkers I am sure we will be back again one day soon. I do recommend the barefoot challenge your feet feel fabulous afterwards and all set for further exploits!